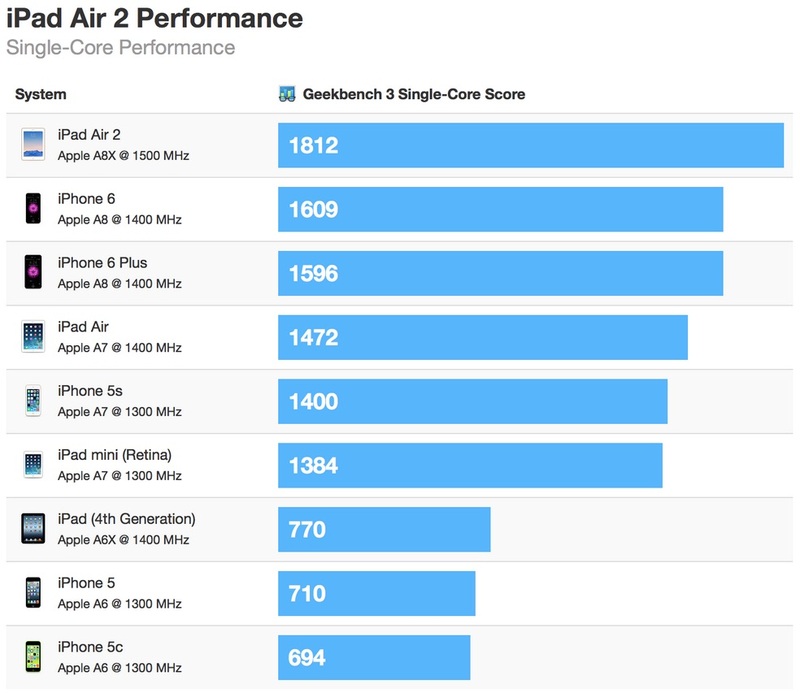 Thar be freshly posted Geekbench benchmark results for the iPad Air 2. 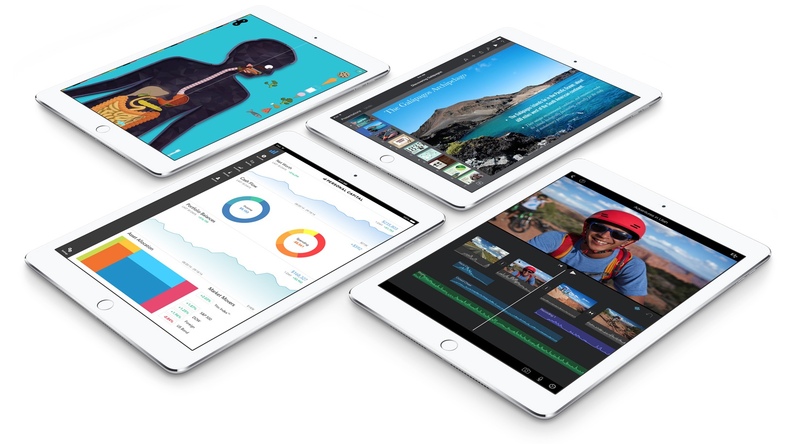 The data clearly shows Apple’s 2014 full-size tablet revision and the triple-core 1.5GHz chip inside are seriously fast. So what is the big difference between the A8 and A8X chips? The chip in the iPhone 6 is dual-core and the iPad Air 2 processor is triple core. 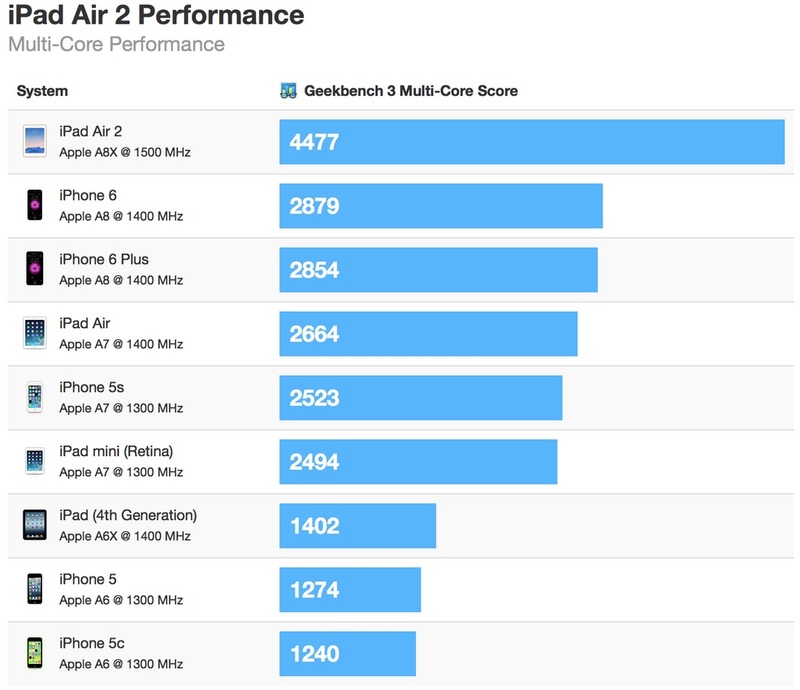 Further, the A8X in the Apple slab runs 100MHz faster — triple-core 1.5GHz vs dual-core 1.4GHz dual-core. That so much performance comes from such a seemingly underpowered package is underscored by the fact that the A8X utterly smokes the quad-core nVidia Tegra K1 in both single and multicore tests. And, at least for me, the really cool subplot running through the parallel stories of the iPhone 6 and iPad Air 2, both are incredibly fast, is that Apple radically improved iPhone battery performance (ie days) and maintained iPad battery performance (10-plus hours).